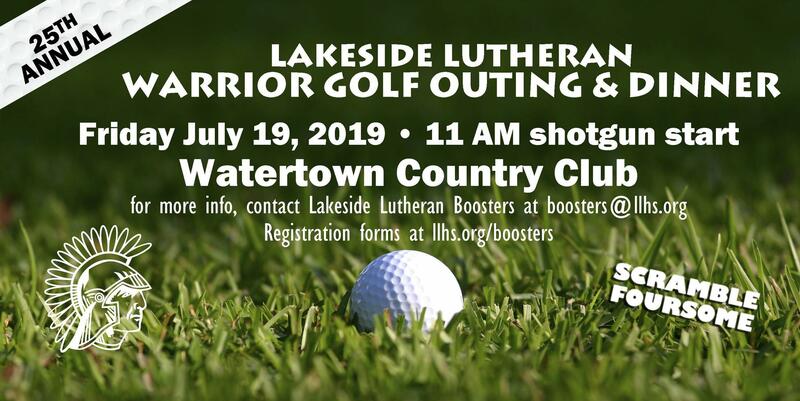 The WARRIOR BOOSTERS organization is open to anyone interested in supporting and promoting Lakeside athletic programs. Parents of athletes are already members. All are invited to participate in this fun service and social organization; it's a great way to meet other Lakeside parents, guardians and grandparents. Willing to serve in this fun and enthusiastic group? Download registration/sponsorship materials at the link above. The August meeting brought in some new board members; Boosters continues to need more involvement at the board level. We are also looking for volunteers to step into a leadership role for the annual golf outing. Season passes are available for the full current year sports season (excluding WIAA tournament series held at LLHS). The $75 Family Pass admits the entire family into every home sporting event; a single-person pass is $35 (Lakeside students get in free to home games with student IDs). Drop off or mail a check, or buy yours at the first home game you attend to take advantage of this bargain and support your Lakeside athletic program!